A plumbing company you can count on. We provide unsurpassed, quality work. If you’re looking for a full-service plumber in Mesa that you can depend on, again and again, your search is over. 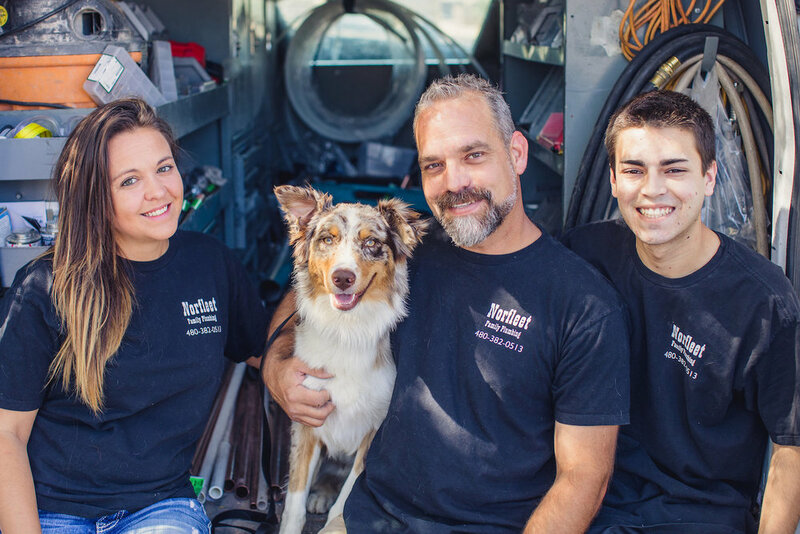 Since 2012, Norfleet Family Plumbing has serviced countless homes and businesses throughout the county with exceptional customer service and superior quality, seven days a week. Our technicians are fully trained, licensed, bonded, and certified to handle 100% of your service issues. 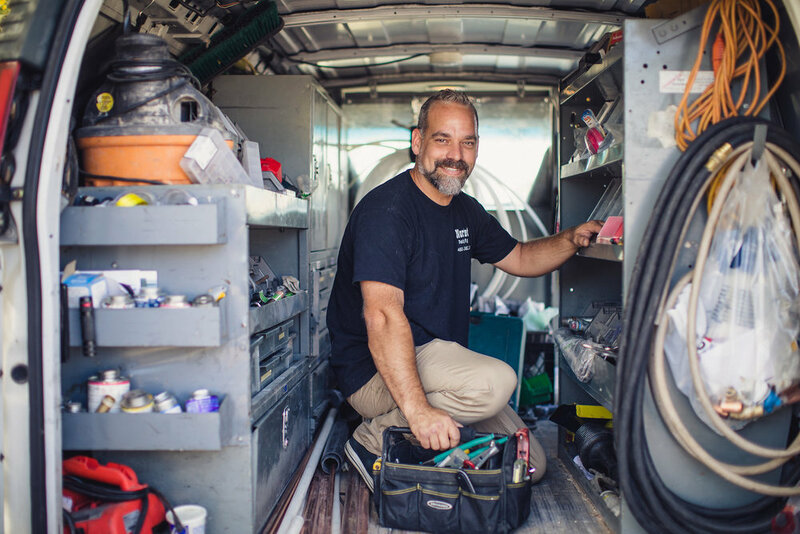 So whether you call us for hassle-free water softener installation, trenchless sewer repair, garbage disposal repair or anything in between, we think you’ll find that we’re ready to go the extra mile to earn your business the old-fashioned way. Call today and see why we should be your plumber in Mesa for life! Norfleet Family Plumbing is a full-service plumbing company serving Chandler, Gilbert, Mesa, Queen Creek, Ahwatukee & San Tan Valley. When deciding to start our company, we set forth to do our very best to take care of our customers. There is no problem too large or small that we can’t handle. Contact us for an appointment for all your plumbing repairs and installations. All our technicians are thoroughly background checked, vetted, trained, and experienced before they enter your property. Using professional grade tools and parts for the job means the work is done right the first time. We are a full-service, licensed plumbing company serving residential customers. If you’re not satisfied with our service for any reason, we’ll bend over backward to make it right. We put our customer satisfaction first for any job, small or large, want you to be happy. We put our customers first. Your experience matters which is why appointments start on time, and we follow through on our commitments. We offer five-star installation, service, and repair without the five-star price. Norfleet Family Plumbing is intent on being the best, and our water heater knowledge and skill is where we shine. Norfleet Family Plumbing whole house repiping includes a free estimate and a commitment to complete the job on time. With upfront pricing, you will have no surprise costs. Call us today for installation, repair, or brand new Water Softeners and Water Filtration Systems. Start drinking the best tasting water possible now! This is a simple upgrade to make all of your Mesa plumbing system last longer and function better. Call today for a quick water softener installation. Mesa garbage disposal repair is one of our specialties. Call us if your garbage disposal is making weird noise, not draining properly, has a smell, or is not running smoothly. We work to repair your garbage disposal when possible but also can install a new one when needed. We are ready to help! Get a quick online quote. Norfleet Family Plumbing focuses on every detail. Our attention to the little things is what sets us apart from the rest of the industry. From the technicians to management to customer service on the phone, we handle every detail. For over thirty years, our commitment to quality in the Mesa plumbing industry has made us the first and only choice for our customers. We proudly serve the greater Mesa/Chandler area for all residential and commercial plumbing projects. This community has given so much to our employees and families that we really enjoy living and working with the people here. whether the location of the job is near or far we want to work with you to give you the best service as quickly as possible. We truly live plumbing and are always upgrading to the newest technologies in the industry. From trenchless sewer repairs and video scoping, we can handle anything you require. We are experts in handling plumbing emergencies - call now!